Our mission is to make a positive difference in the industry and to empower entrepreneurs with the resources needed for their small business to start changing the world of concrete as we know it. For the past 25 + years, CTi has made it possible for people like you, to own their own business and achieve financial freedom. With CTi, you don’t have to worry about the overwhelming challenges of paying franchise and royalty fees when starting your business. We offer a proven turn-key business opportunity…a business in a box if you will. We will provide you with the tools and knowledge to run your business effectively and to be in business for yourself…..however, not by yourself. Are you looking for someone to take control of your marketing and advertising?? Are you wanting your phones to ring with prospective clients?? These are just a couple of things that we can help you achieve. Behind a nondescript series of buildings on Starkey Rd., in Largo, FL, Concrete Technology, Inc., has been bringing a high tech sheen to a low tech industry, using state of the art engineering and chemistry to attack the world of unsightly concrete. Concrete Technology, Inc., or “CTI,” began its operations in Largo, Florida in December of 1991. CTI’s founder, Kevin Rosenberger, was a craftsman in the coatings industry for years prior, installing river rock coatings in the Tampa Bay area. Mr. Rosenberger experienced numerous problems with the longevity of those coatings and set out to find a long lasting solution for a market that he saw as having huge potential. He began experimenting with acrylic cement coatings in the mid 1980’s and after numerous lab and field tests began marketing a formulation of acrylics and resins that offered a superior coating for concrete surfaces. CTI’s business philosophy has always been to provide the highest quality coatings available, coupled with in-depth initial training and ongoing support. To distribute their products and provide service to the public, CTI looked for qualified people across the country who wanted to establish their own small businesses to start representing the CTI product line. CTI found an overwhelming acceptance of its products and the business began with a jump start, exploding onto the scene in its early years. By the end of 1996, CTI had blossomed to over 200 Dealers nationwide with representation in 10 countries. In 1997, with over 400 Dealers across the United States and representation in a number of foreign countries, CTI was honored by INC Magazine with its “INC 500” designation, as one of America’s fastest growing, privately held companies. One of the keys to CTI’s huge acceptance is their product’s ability to withstand extreme environmental conditions. Whether it’s sub-zero temperatures in Alberta, Canada, or heat in excess of 100 degrees in Phoenix, Arizona, the CTI System is designed to withstand those extremes, while providing a beautiful, durable finish to surfaces such as driveways, patios, pool decks, walkways and commercial areas. CTI prides itself on being the leader of the acrylic cement coatings industry. In addition, CTI has established a network of the finest trained Dealers in the market today. Our Dealers operate small, easy to start businesses across the world and pride themselves on providing their customers with the highest quality products available, applied through the finest installations possible. With more than 90-Million square feet installed world-wide, the future of CTI is becoming more exciting each day. As CTI coatings have become more well known by both the general public and property developers, their acceptance has increased geometrically. The wave of the future fiicor concrete surfaces is customers demanding more decorative looks for areas that were once accepted as mundane. Mr. Rosenberger has been quoted as saying “We’re not waiting for the industry to shape itself, we’re looking to shape the industry.” And shape the industry we have. CTI has not only brought the public a product that customers are truly delighted with, it has also provided a vehicle for entrepreneurs to realize the vision of having their own small business to start. With the CTI business model, start up money that once filled the pockets of franchisers can now be put toward product inventory, marketing, and business development. Additionally, subjects of prime importance to business startups such as organization, customer development and cash flow are all covered during initial training. The CTI business model is one that virtually insures the success of a small startup business. And, by staying true to our initial vision of unbridled quality, in-depth training and 24/7 support, we have assisted literally hundreds of small business owners in realizing their dreams. CTI provides one of the most beautiful, versatile, and fastest growing products on the market today. 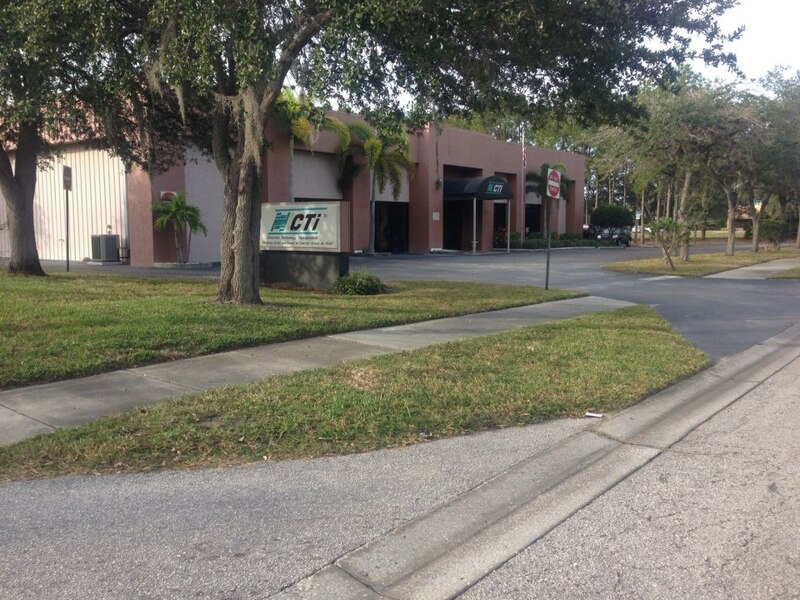 Founded in 1991, CTI has seen over 900% growth since opening its doors in the Tampa Bay area in Florida. CTI has been featured in the INC 500 list of the fastest growing, privately held companies in the U.S. today. CTI has been listed in the Maddux report’s Fast 50 and Deloitte and Touche’s Technology 500. CTI has a Dealership network located throughout the United States as well as in 22 foreign countries and is comprised of the most successful business people in the U.S. today. CTI’s success has come from educating high quality business people on the intricacies of starting a small business in the multi-billion dollar industry of concrete restoration and beautification. CTI then supports these Dealers with 24 hour a day technical support, a proven marketing plan, and ongoing training.